The Penn Memory Center team says goodbye and good luck to the latest corps of social work students, who have successfully completed their internships. 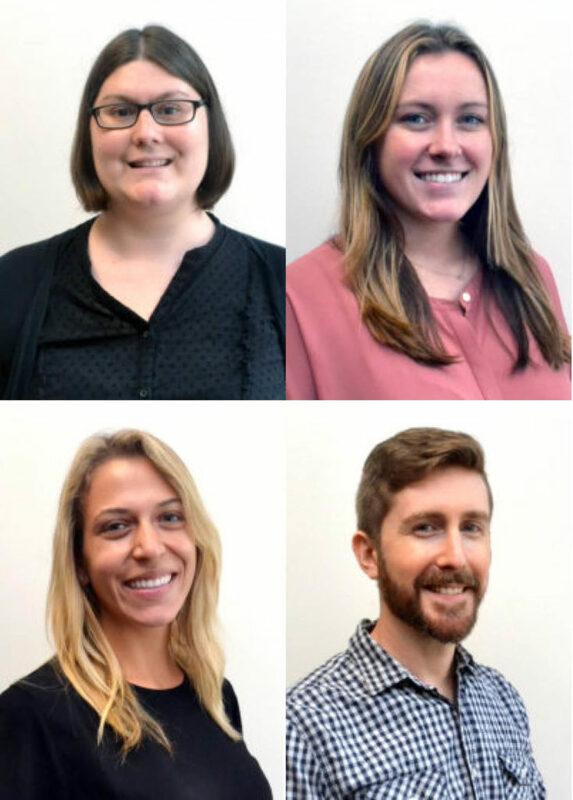 Sarah Bujno, Nora Garland, Laura Vargas, and Matt Volpe helped develop and maintain psychosocial support programs for patients and caregivers at PMC since the beginning of the academic year. Their last day is May 1, 2019. Older adults susceptible to financial scams may have a greater chance of developing cognitive impairment, according to a study published April 16 ($) in the Annals of Internal Medicine. I have difficulty ending a phone call, even if the caller is a telemarketer, someone I do not know, or someone I did not wish to call me. Persons older than 65 are often targeted by con artists. The National Alzheimer’s and Dementia Resource Center is hosting a webinar series, sponsored by the Administration for Community Living. A presentation, titled “The Messages We Send: Stigma Toward Persons Living with Dementia and How to End It,” will be led by Penn Memory Center scholar Shana Stites, PsyD, MA, MS and Rev. Cynthia Huling Hummel, D.Min., who is living with early stage dementia. The presentation is on Tuesday, May 7 at 2 p.m. ET. It’s free and open to the public, but registration is required. Penn Memory Center (PMC) Co-Director Jason Karlawish, MD, and PMC Scholar Cara Fallon, PhD, MPH, presented at the 2019 Alzheimer’s Disease-Related Dementias (ADRD) Summit. He went on to detail that stigma is “both a mark and a process” and has three types: self-stigma (internalized stigma), public stigma (externalized/enacted stigma), and spillover stigma (stigma by association). 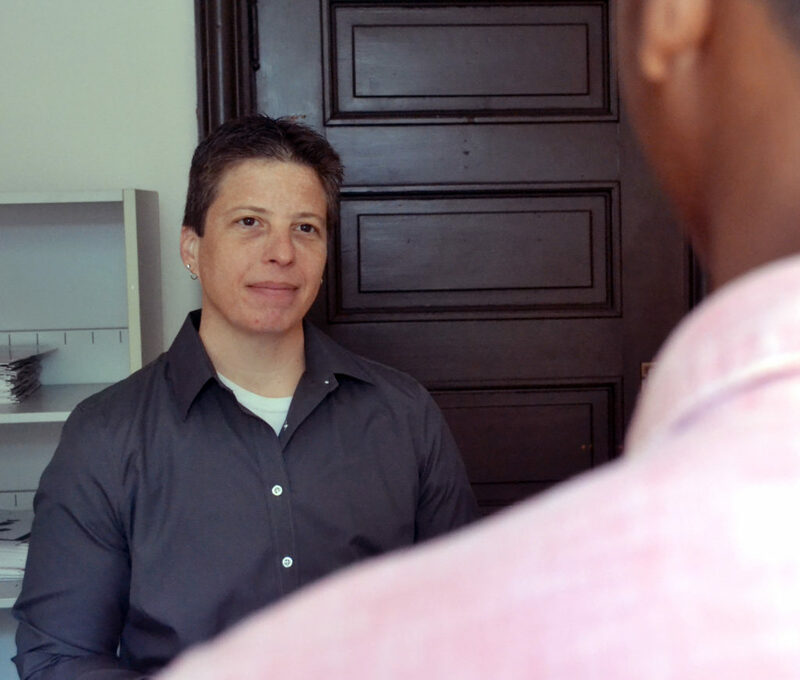 He also discussed the ethical implications of stigma. Fallon, a historian, then took the mic and educated the audience about the history of terms used for intellectual and development disabilities in the U.S.
Karlawish and Fallon acknowledge that a change in words alone will not end stigma. Rather, beliefs and attitudes need to change. The language will “both lead and follow,” he said. To view a video of the first day of the summit, click here. Karlawish and Fallon’s presentation begins at 6:31:37. 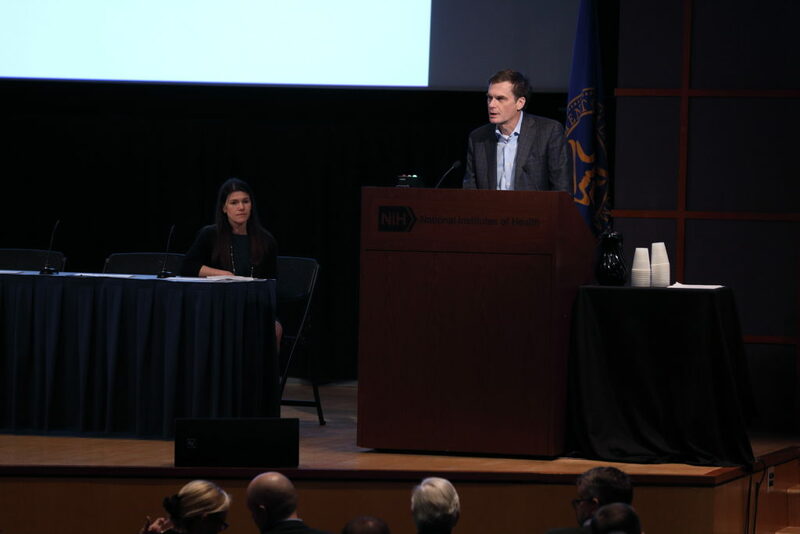 The ADRD Summit took place March 14-15, 2019 at the Natcher Auditorium on the National Institutes of Health campus in Bethesda, Maryland and was sponsored by the National Institute of Neurological Disorders and Stroke. A group of young scientists in Minnesota recently welcomed Penn Memory Center Co-Director Jason Karlawish, MD, into their classroom. High school students in the Shattuck-St. Mary’s School bioscience enrichment program have been reading Karlawish’s 2011 historical novel Open Wound to enrich their study of the digestive system. Program Director Maren LaLiberty, MD, invited Karlawish to Skype in with the classroom before the students finished the book. “There are certain aspects of anatomy and physiology that can really only be illuminated by stories,” LaLiberty said. 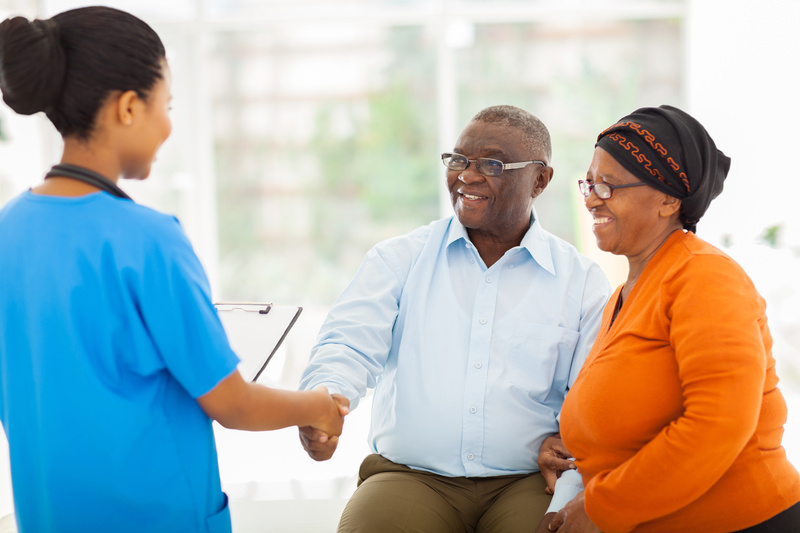 A newly published study found that positron emission tomography (PET) scans used to detect plaques related to Alzheimer’s disease may influence the care and diagnoses received by patients with mild cognitive impairment (MCI) and dementia. 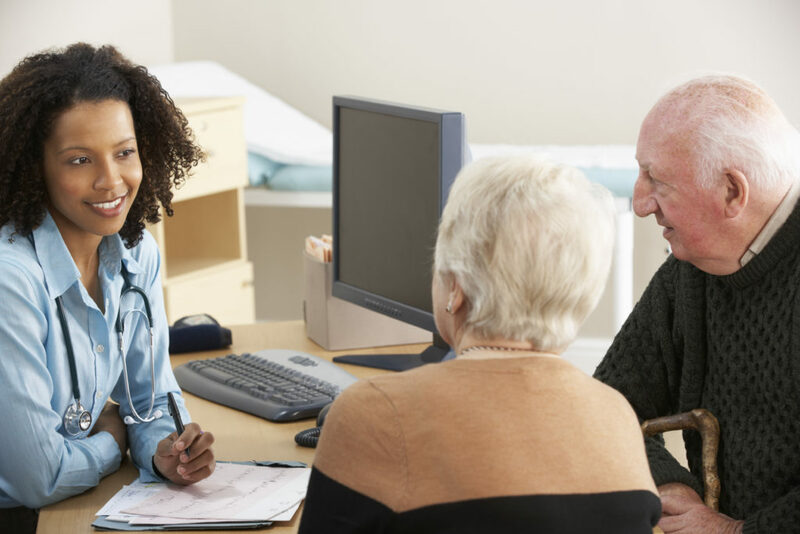 More specifically, the results of the research showed that in about two-thirds of cases, clinicians who received information from their patients’ PET scans went on to change medical management regarding medications or counseling within 90 days. The participant pool included 11,409 men and women from across the nation living with MCI or dementia of an uncertain cause. They were an average age of 75, and were all Medicare beneficiaries. Participants came from a multisite, longitudinal study known as the Imaging Dementia—Evidence for Amyloid Scanning (IDEAS) study.